At present only for a split of Europeans Christmas is about a church going, but for the overwhelming majority, it is a family reunion, and a holiday time: sumptuous dinner, and presents with ribbons under decorated tree. The EU leaders have not much different from the citizens views on the ancient celebration of Jesus Nativity. On Christmas Eve only one EU leader openly associated himself with the festivity – the president of the European Council Polish Donald Tusk, who even posted a video of him singing a carol on the occasion. 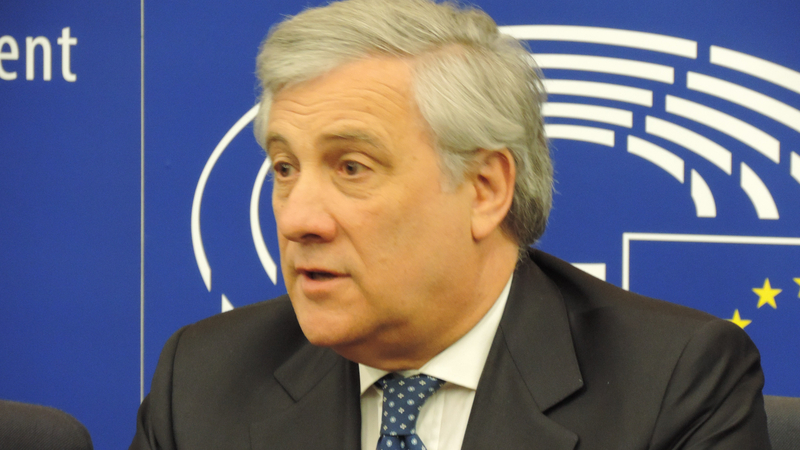 The European Parliament president Antonio Tajani mentioned the Nativity of Jesus celebrations in the context of Christmas shopping, while the president of the Commission Jean–Claude Juncker did not mention it in his Twitter micro blog at all. The attitude shows further detachment of the EU project from the original dream of Robert Schuman to create a “community of peoples deeply rooted in Christian basic values’. The European project “can not and must not remain an economic and technical enterprise; it needs a soul, the conscience of its historical affinities and of its responsibilities In the present and in the future, and a political will at the service of the same human ideal’ he wrote. Following Schuman‘s footsteps the president of the European Commission Jacques Delors also openly practiced his Catholic faith, disregarding the EU secular nature. 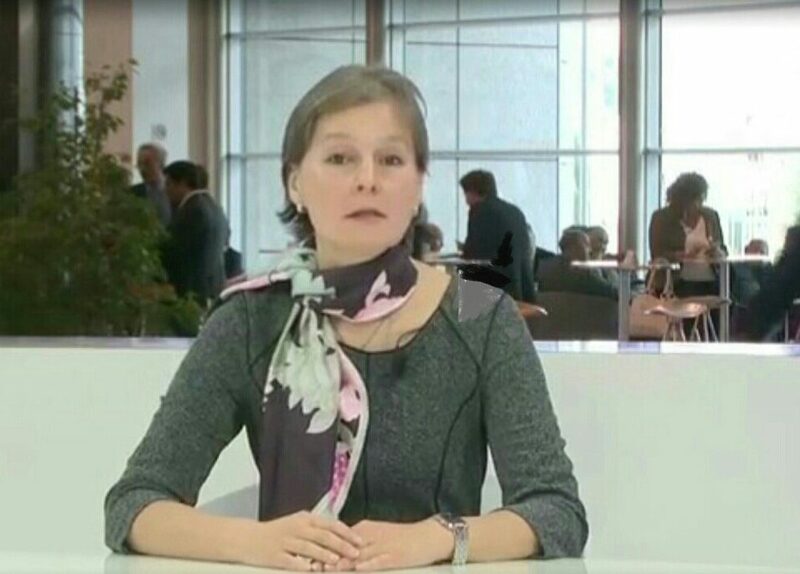 warning that the project has to develop a ‘soul of Europe‘ to inspire the citizens, because with material dimension only it runs high risk of collapse. The “game will be up” he said if the EU will not develop “spirituality and meaning”. Next devote Catholics in position of leadership were Belge Herman van Rompuy, the president of the EU Council, who reportedly is a Jesuit regularly visiting to monasteries, and the speaker of the European Parliament Polish Jerzy Buzek, who also did no hide his devotion. However the overwhelming number of the EU citizens identify themselves as Christians (76.2% Pew Research 2010), and most probably the majority of the European Parliament politicians too, at least they made such an impression, when they welcomed the Argentinian Pope Francis (2014) in the European Parliament, Strasbourg. Although the visit raised brows of many critics questioning if the EU as a secular project should give a floor to a clergyman, especially after Lisbon Treaty, underlining the secular nature of the EU project. The ongoing ambivalence is also reflected in the culture of political parties, because the leading political force in Europe is the Christian Democrats-Peoples Party. And it was Chancellor Angela Merkel, a daughter of pastor, who said: “we don’t have too much Islam, we have too little Christianity”, responding to the citizens complaints. Curiously both European most powerful leaders are daughters of clergymen: Merkel and May. British Prime minister confirmed during a radio emission that Christian faith ‘is part” of her. “It is part of who I am and therefore how I approach things’ Theresa May added. However she always preferred to keep her faith as a part of private life, strictly separated from politics. While the EU leaders adapt their communications to secular trend, and modern vision of religion as a matter of private life, the Christians remain the most persecuted community in the world. The report issued the beginning of this year claimed 250 million of Christians are facing threats. According to the latest Watch List researchers estimate 1 in 12 Christians live where their faith is “illegal, forbidden, or punished.” 2018 World Watch List, reported the previous year 3,066 Christians were killed, 1,252 abducted, 1,020 raped or sexually harassed, and 793 churches were attacked. North Korea, Afghanistan, Pakistan, Eritrea, Iran, Libya, Somalia, Sudan, – a few to mention in a list of 50 countries across the world where Christians face threats, or are under extinction. However, on Xmas Eve the EU strictly secular leaders prefer to keep silence, point to good shopping, or at maximum post a video of their own performance of a Christmas carol song, while the millions of people suffering the most outrages violation of their freedom of religion. Their unwillingness to pay attention to the problems of persecuted Christians looks like the worst of Jacques Delors nightmare – Europe without soul. Undoubtedly the Manson House speech of the Prime Minister Theresa May has many virtues, offering constructive proposals for Article 50 agreement. In general it is also attempts to appeal to common sense of the EU leaders, and is reflecting an intense search for the best possible new formula for matching interests of both parties, instead of fitting into old EU dogmas of ‘four freedoms’. May’s vision of the basis of post-Brexit engagement is orientated towards future: robotics and artificial intelligence, the new technologies and most of all the British genius, which brought the nation to the forefront of the Digital Revolution. But can this dazzling and dynamic new engagement attract Brussels?.. If we agree on the leading role of the “outstanding individuals” in sculpturing history, and take a close-up on European Union protagonists influencing Brexit negotiations, we’ll see that they function in totally different modus operandi than the looking forward British PM. The European Commission president (the ‘Prime Minister of Europe’) Jean-Claude Juncker is concerned with keeping the EU project intact in its original form, repeatedly referring to the forefathers – Robert Schuman and Jean Monnet who resurrected Europe from the ashes of the WWII on entirely new basis. Devoting his life to the ideas of the United States of Europe, Juncker’s major preoccupation is the risk of Brexit provoking a collapse of the entire 70 years old architecture, erected gradually after the European Coal and Steel Community united in 1950 in order to secure lasting peace. Ideologically Juncker faces similar problems in dealing with Brexit as the Pope, who faced unpleasant news from a rebellious English King, rejecting to acknowledge his authority, and thus pay tribute to the Holy See. Juncker’s preoccupation is not to let the heresy to spread, subsequently the creation of a new ‘dynamic and vibrant’ engagement with London would be detrimental to the original project, showing to the other member-states, that life outside the EU can be so much better than inside. In this case May’ appeal to embrace together the wonders of Digital Revolution falls on deaf ears: Juncker, as usual, is looking backward, contemplating ashes of the WWII. Keeping in mind the origins of the European project, the protection of its ‘sacred’ four freedoms from British ‘heresy’ becomes paramount. Allowing the new engagement to be a success means to give in to those, who ‘betrayed’ the great idea of Schuman, and ‘tricked’ Britons into the trap of leave vote – an unthinkable compromise for such a ‘guardian’ of the EU Treaties as Jean-Claude Juncker.